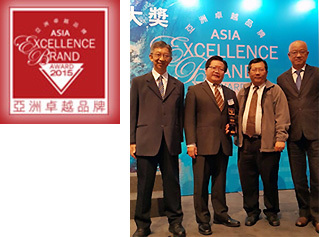 Naturel achieved a new milestone by winning the 2015 Asia Excellence Brand Award. This award was organised by Yazhou Zhoukan, the only global Chinese regional magazine. Based on votes of the general consumers and survey of business enterprises, winning brands were selected from countries including Hong Kong, China, Taiwan, Singapore and Malaysia. The award ceremony was held at Harbour Grand Hotel, Hong Kong on 21 December 2015.